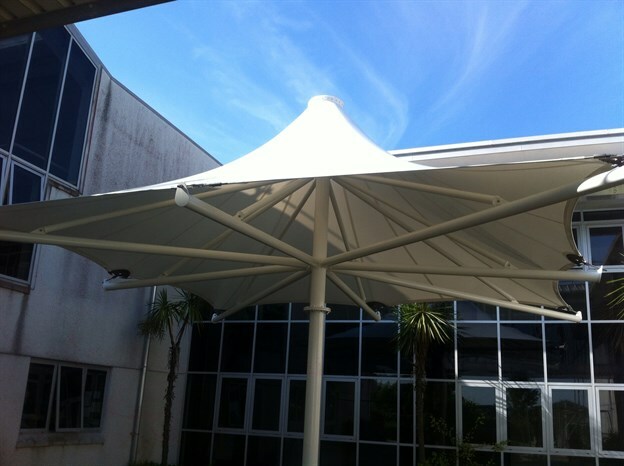 We installed a 7m by 7m corona canopy for the Kenwyn Courtyard at Truro and Penwith College, Cornwall. 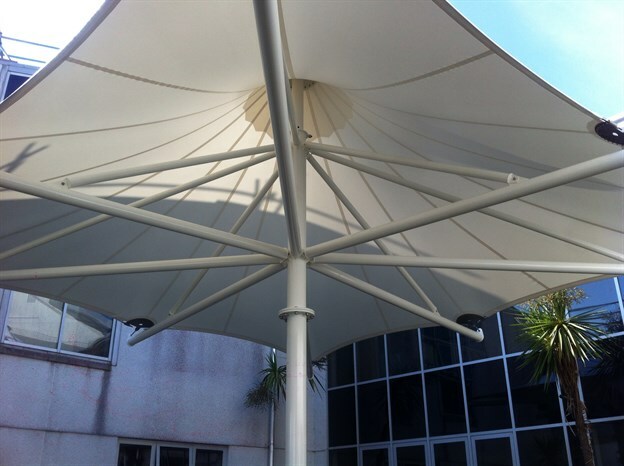 This classic umbrella canopy offers both waterproof and UV protection for the students and enables the courtyard to be used in all weathers. 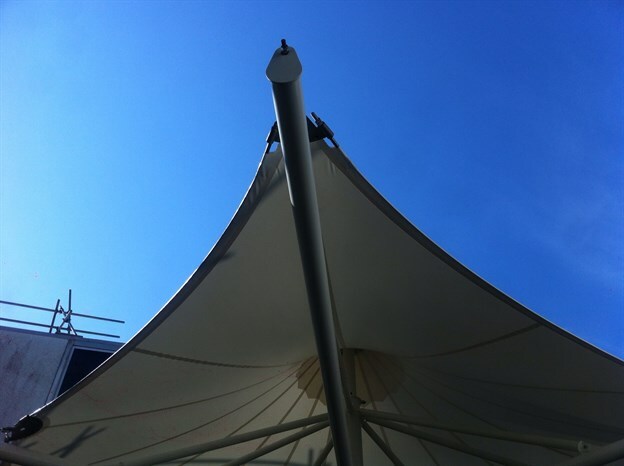 As only one single upright is required it is perfect for small spaces where a minimum of foundations is preferential. 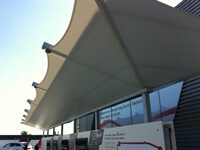 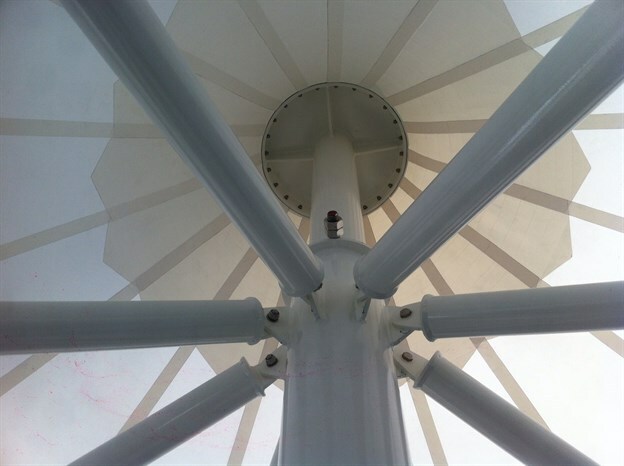 Manufacture of this product canopy takes 5 weeks from order and is installed in a 2 day period. 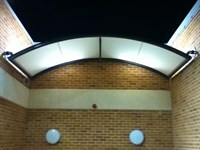 The corona forms part of our popular exterior product range.